This awesome California couple gathered their close family and friends to witness them tie the knot last weekend. The weather was perfect, there were smiles all around, everyone had fun with confetti & streamers, and delicious food (catered by Karavalli- YUM!) and a crescent moon capped off their evening. Did I mention Jessica has the most adorable niece?! Really, look at that face! Here's a tiny peek at their Big Day. 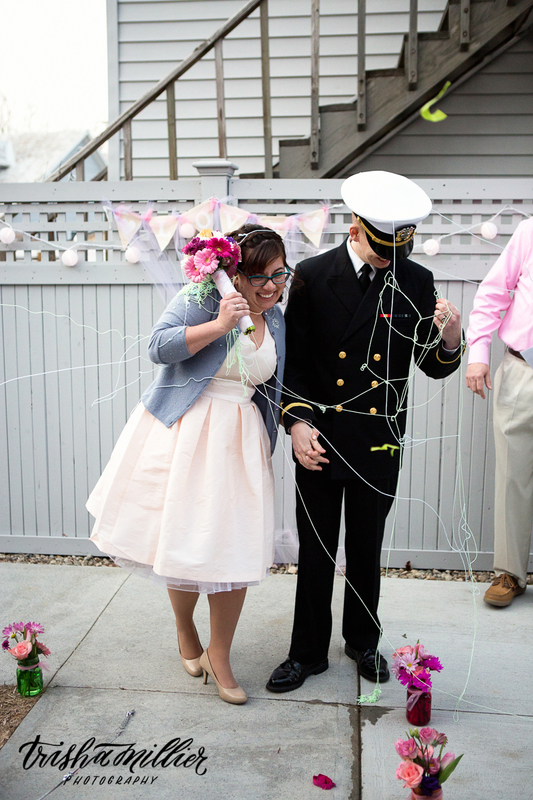 I absolutely loved Jessica's feminine bow dress-detail and Joel's Navy dress blues.